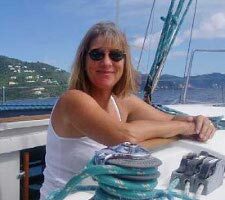 Owner and principal instructor Captain Pat Nolan has been teaching women, couples, and families to sail for the last twenty years in the British Virgin Islands, Puget Sound and Chesapeake Bay. Pat has acquired thousands of offshore sea miles having delivered many boats up and down both U.S. coasts and throughout the Caribbean. An avid racer she has sailed in everything from Seattle's infamous Duck Dodge to major international Caribbean regattas. 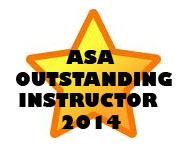 Pat holds a 100 ton Master's license from the USCG and is an Instructor Evaluator for the American Sailing Association. She is PADI certified as an advanced open water scuba diver and is trained in CPR. Pat's degree in education has helped to shape her teaching methods - clear, concise, to the point. Coupled with her unending store of patience, easygoing manner and general unflappability even the greenest of landlubbers will learn to sail under her tutelage. Captain Judy James has been a sailor for 30 years and an affiliate of ASA for the last 25. 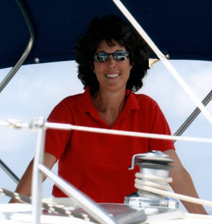 Prior to 2003, most of her sailing was on Lake Lanier, near Atlanta, Georgia, and on southeastern Bays - Chesapeake, Tampa, and Mobile.Since that time, she has enjoyed teaching in the British Virgin Islands, participating in offshore deliveries, and racing with Captain Pat in the Caribbean. Judy holds a 50 ton Near Coastal Master's license from the USCG, is a certified instructor for the American Sailing Association through Coastal Navigation, and is trained in CPR. Addicted to travel, she has sailed in the Leewards and Grenadines, Greece, Corsica, Sardinia, and the Galapagos Islands. Her degree in psychology is indicative of the enjoyment she derives from people; her charter guests are her favorite part of the business. She spent 15 years homeschooling her children, but now that they are grown, her classroom of choice is the BVI!